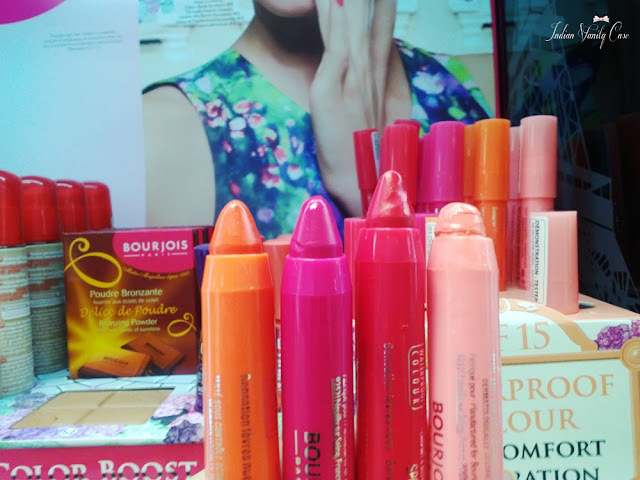 My favorite brand has jumped on the bandwagon, and has launched its very own lip crayons ~ Color Boost Glossy Finish Lip Crayons. "A new generation formula that provides a bare lips sensation thanks to its sensory, light and non-sticky texture. With it silk extract formula, Color Boost ensures comfort and hydration for 10 hours. 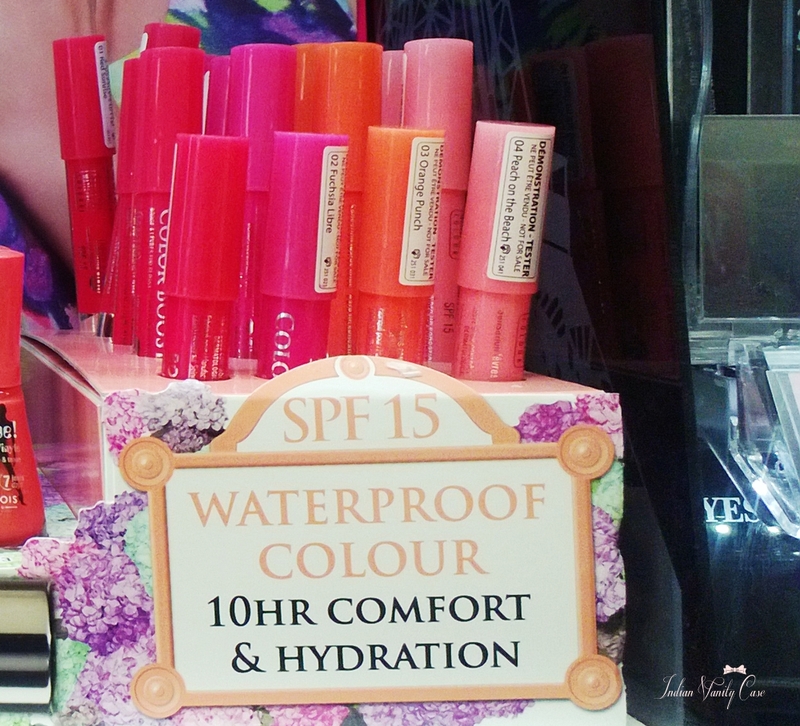 Plus, it has SPF 15 and Waterproof colour!" 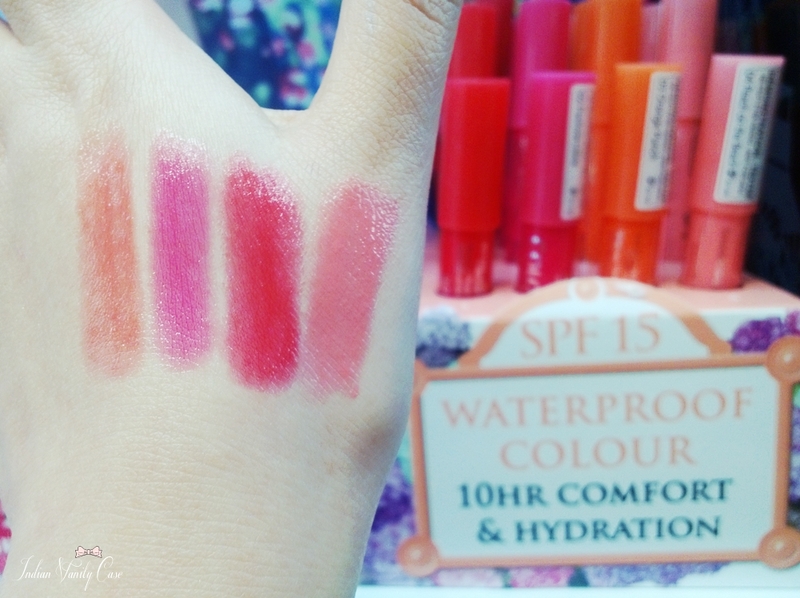 They are all pretty summer shades, but my favorites are Red Sunrise & Peach On The Beach. I bought Peach On The Beach to try out, will let you know how it is. Yes, they are different from Revlon Just Bitten Kissable Balm Stains. They feel different, and are fragrance-free. Packaging is the same. Price ~ £7.99 | Rs.727 (Will probably be priced lower in India.) 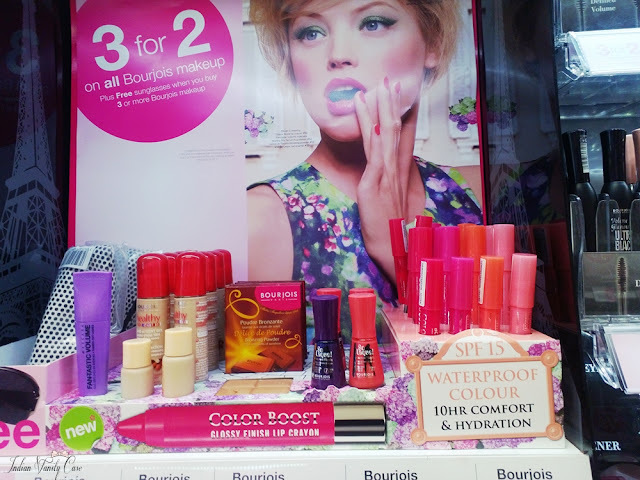 From Superdrug. Peach on the Beach is so so pretty. We don't have this here yet... But I really like the look of Peach On The Beach! I don't know about its "waterproof" claim though... Let us know how it goes for you! Peach on the beach is gorgeous. Do u think it will show up on pigmented lips tho? Awaiting ur review. Season of tinted balms jaari hai!!! I expect something unique about this product! Peach On The Beach is Gorg ! The revlon ones were not very mousturising... These look good but not sure if they are moisturising i would like lipsticks that glide on to my lips! These are just my kinda stuff - I never really liked lipsticks but the balm stain idea was the best thing ever ! sighs. Wish they would price it affordably and sensibly here.